Great for young and old alike, Ice Skating is the perfect way for families to enjoy the day together. 10-day mountain adventure program, spent primarily in Truckee, California, a historic Western town in the Sierra Nevadas. Winter skiing, wine country tours, San Francisco visit. Ice Skating is a great activity for young and old alike. 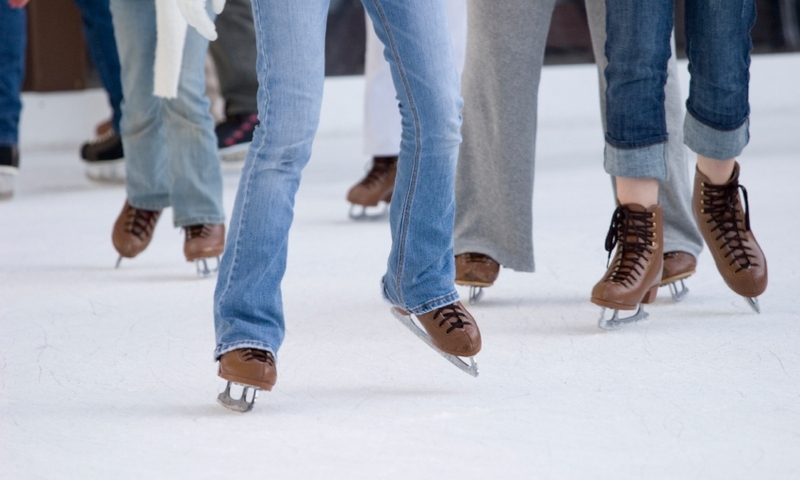 The Tahoe area has three great choices for ice skating. Lessons and skate rentals are available at all area rinks. If you’re looking for a great way to get your entire family together, ice skating in Tahoe is the perfect activity. The area has several venues to choose from, ranging from scenic outdoor rinks, to professional-caliber indoor facilities. Home to a regulation NHL size ice rink, as well as locker rooms, a snack bar, retail store, arcade, and party rooms. Lessons and private parties are available. Fees are $15 for adults, $6 for kids 6 and under. Skate rentals are included. This is the only indoor ice rink in the area. Open seasonally, weather permitting from 10am to 8pm. Prices are $20 for adults, $15 for kids 12 and under. This fee includes skate rentals, and is good for an all-day pass.